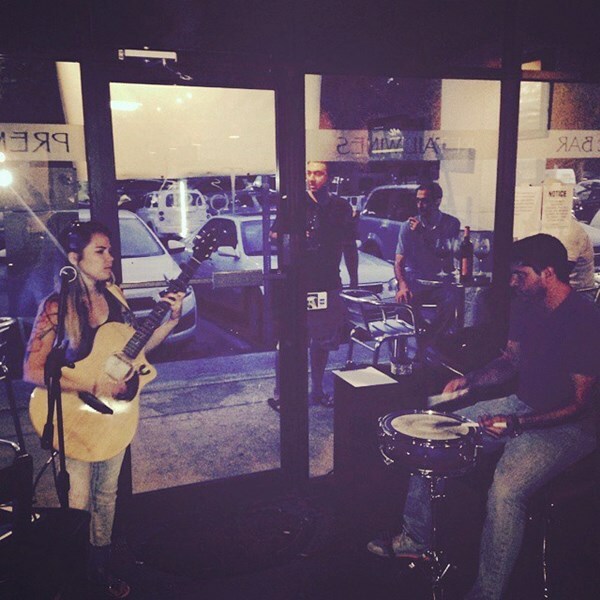 Frankie & Frank is an acoustic (guitar and drums) duo act from Tampa, FL. Their show includes a wide variety of music ranging from the 60's to today, and they are suitable for any crowd. The two musicians met through an unexpected circumstance that caused drummer Frank Dancey to be left without a front person for a gig, and Frankie Raye, being an active singer/songwriter in the area, was contacted to fill-in for the evening. Never having met (and Frankie never having played with a drummer) before, the two ended up playing the gig and successfully drawing in a crowd. When audience members began asking them where else they could see them play, and where they could find their music, the duo acknowledged their musical compatibility. Since that evening, the two have managed to get repeated bookings at several bay-area venues, and their following grows after each show. They guarantee variety in their song choices, and promise to deliver a professional-quality show. Frank Dancey is a drummer (though, he's also a pretty legit guitar player/singer, as well). He is the owner/founder of Ocean Harbor Management LLC, and has been an active musician for years. He's played across the U.S and has attended highly-esteemed music conferences (NAMM, being one of them). While playing in several acts throughout the years, he also manages Hope Darling, a Tampa-based band that was recently nominated for Creative Loafing's Best of the Bay. He holds a Master's Degree in Music Business, and is easily one of the most highly demanded drummers from the Tampa area. Frankie Raye is a singer/guitar player (she can't play the drums to save her life). 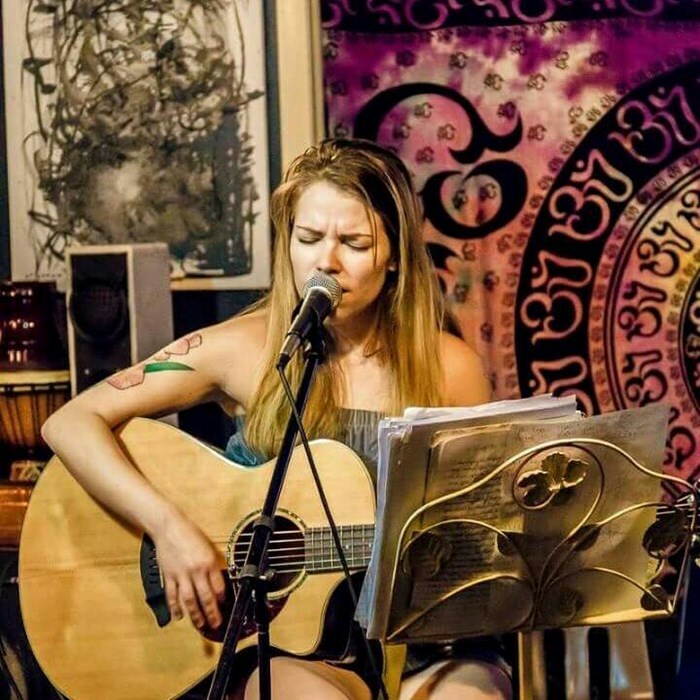 She has been a musician in the area since 2013. 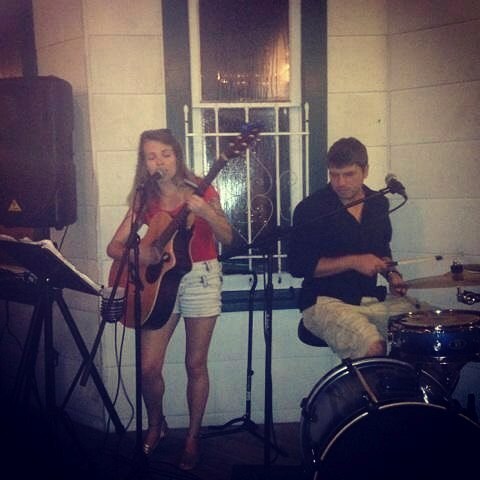 She has performed in several cities across FL, and even made her way to play at venues in New Orleans, LA. She was a guest on WSTP's "Studio 10" talk show after the release of her debut CD, Chapters, in June of 2014. Her music has been played on WMNF 88.5, and she was named "Artist of the Day" in TBT (a compact version of the Tampa Bay Times). She is currently writing music for a follow-up CD, scheduled to release early 2016. Frankie & Frank look forward to meeting you, and they promise to make your event something to remember! Please note Frankie & Frank will also travel to Lutz, Mango, Land O Lakes, Odessa, Seffner, Thonotosassa, Brandon, Oldsmar, Palm Harbor, Safety Harbor, Zephyrhills, Dover, Valrico, Clearwater, Gibsonton, New Port Richey, Riverview, Sydney, Saint Petersburg, Dunedin, Holiday, Plant City, Tarpon Springs, Crystal Beach, Apollo Beach, Elfers, Ozona, San Antonio, Durant, Crystal Springs.